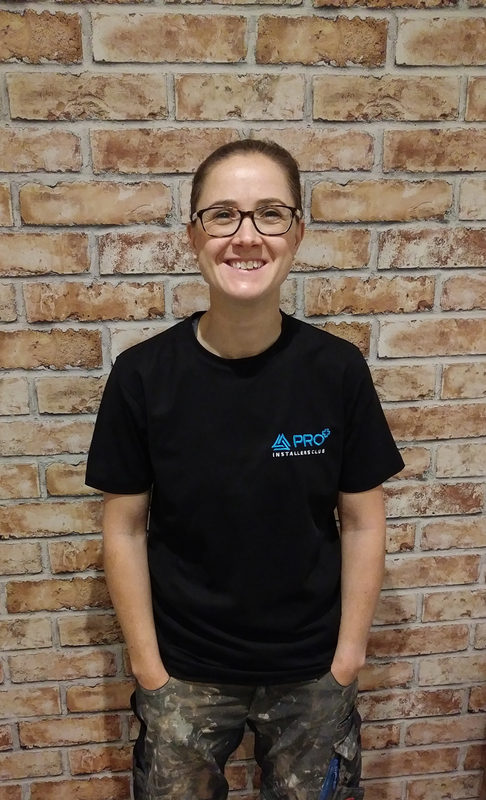 Becky Bates illuminates us with her view on the latest Bosch GLI 18v work light. 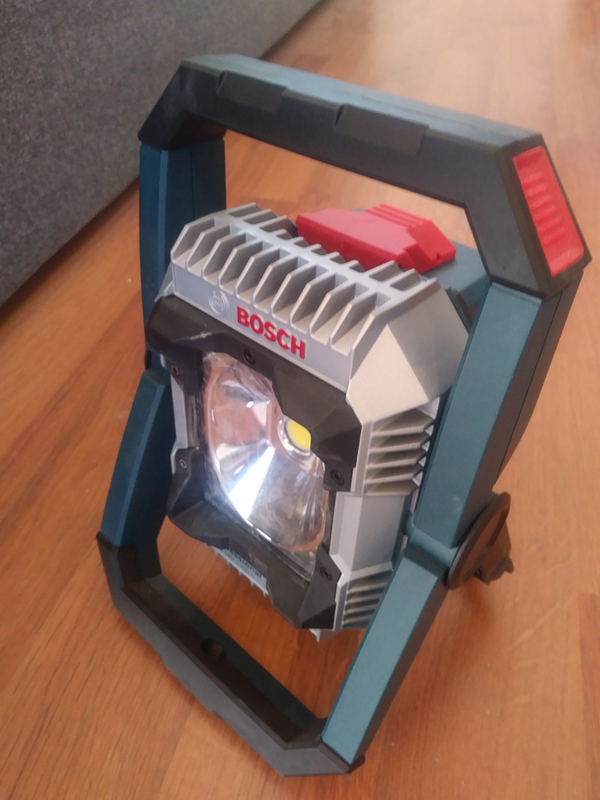 First impressions when I took the new Bosch GLI work light out of the box were that it had a really cool look to it – a little bit like something out of Transformers! Another thing you notice early on is the build quality – absolutely solid. Not one part of it feels fragile, yet Bosch still seems to have made sure the light isn’t overly heavy, which makes it nice and portable when working. The on/off button is well sealed making it water resistant. I used the light outside in the rain for a while and I wasn’t concerned about it getting wet. The same goes for the battery cover, as there is a rubber seal around it. Obviously, I wouldn’t advise submerging the light completely in water, but there’s enough protection there to make you feel confident about using it in the frequent showers we get in the UK! There are two light settings. Press once for full power, then hold down the button for about two seconds for a lower setting. Full power is very bright, and the light angle/range was great. The battery life is also very good – I used the light over two days and each battery lasted about 3 ½ to 4 hours. Another great feature is that it flashes to tell you the battery is low. On average it was about 10 minutes before the light went out completely after the warning, so you’ve got time to get out of the dark before you’re stuck! By far the coolest feature of the light is its Bluetooth connectivity to the Bosch toolbox app. From the app, you can control the settings and view the status of the battery. You can also set timers for when you’d like the light to come on, and the app saves the information to your light to make sure it will come on even when your phone isn’t present. You can also register your warranty and book in repairs directly from the app. 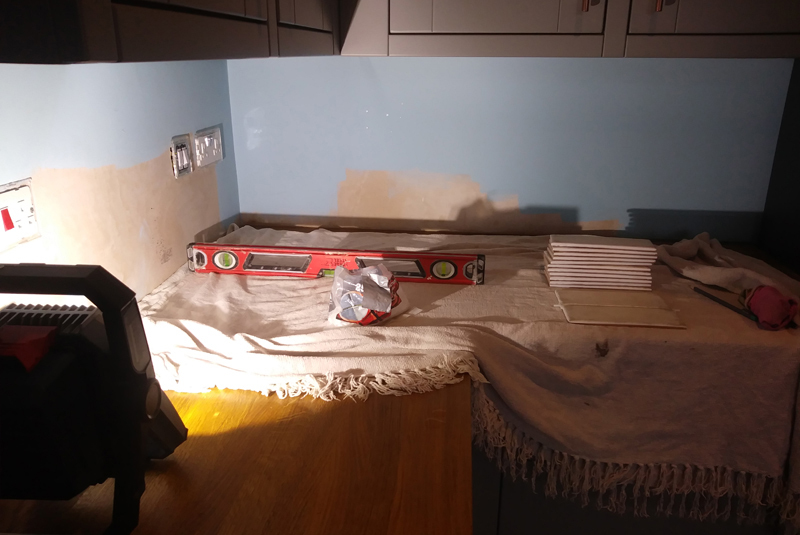 I’ve got to say, I’d struggle to fault Bosch on this one, and the light has been really useful since I’ve had it on a variety of jobs.